Monique Ritter, born in Paris, was a “hidden child,” protected during the Holocaust by a family in rural France. She and her husband Erwin, 85 and a survivor as well, lived in their Houston home for close to 40 years and have now endured multiple floods. 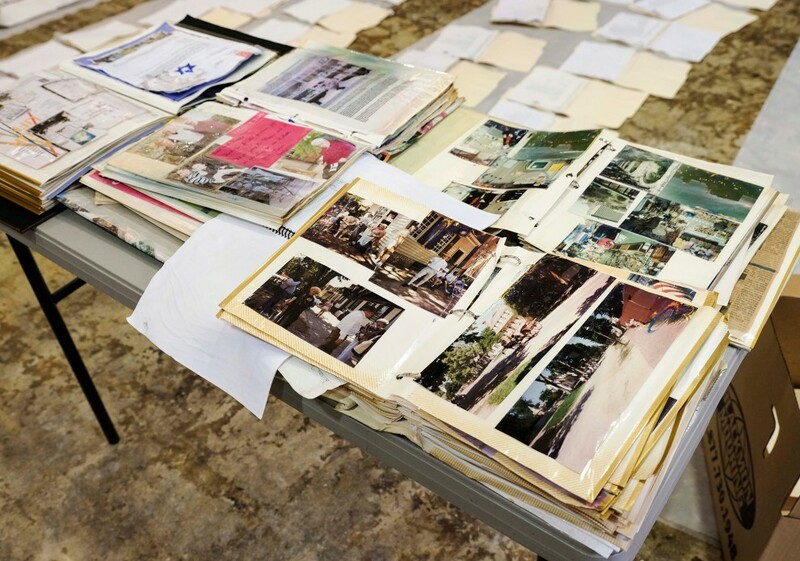 Harvey brought more than three feet of water into their house, and when they returned, Monique discovered that her most precious possessions, drawers full of photographs that had belonged to her grandmother, had been destroyed. But she refused to let them go. Her grandson Shawn sits on the Jewish Federation of Greater Houston’s Board of Trustees and is the current Young Adult Division chair. He knew that he could turn to the Federation on behalf of his grandparents, no matter what they needed—from volunteers to clean out their house to basic necessities. But when he couldn’t convince his grandmother to part with her ruined photographs, he knew he really had to get help. Despite all they have been through, the Ritters are lucky. They have wonderful grandchildren who put their own lives on hold to care for them. And they have the help and support of the Jewish Federation and its network of agencies.